Working together with Solar Frontier, Tokyo Ohka Kogyo (TOK) and DelSolar, IBM’s Materials Science team has developed an efficient and affordable PV cell made of abundant natural materials—and they have broken a world record doing it! 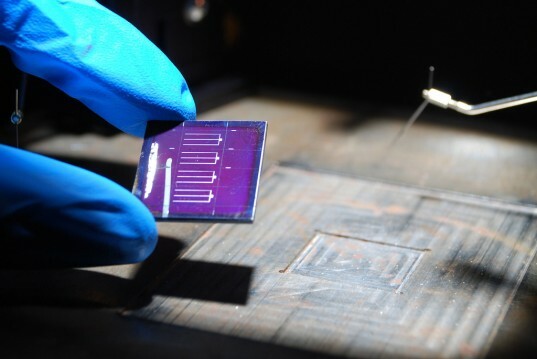 The team created a solar semiconductor made from readily available elements such as copper, zinc, and tin (known as CZTSSo, and achieved a PV solar-to-electric power conversion efficiency of 11.1% – that’s 10% better than previous designs using this class of semiconductors. It is hoped that this breakthrough will herald a cheap and effective way to capture the sun’s energy and power the planet’s electric systems. Currently, most existing PV technologies are either not highly efficient, cheaply scalable or made with abundantly available materials – however that is what IBM aim to change. By using simple ink-based techniques such as printing or casting, the new method can be easily duplicated, unlike the current way of making PV semiconductors with crystalline silicon. While these are abundant and highly efficient, they have extremely high material purity requirements making them expensive to buy and difficult to upscale. There are other thin-film materials that can be used, such as Cu(In,Ga)(SSe)2(CIGS) and CdTe. While these alternatives are easy to integrate into buildings and consumer products, their compounds do contain rare and expensive elements that can increase cost. I have read your information about IBM’s work on developing an efficient solar cell. How can I obtain more information? I have a design concept that could incorporate this technology into electric powered automobiles. This is single most important news in many years. Much of solars boundry is the cost of materials. With these 3 cheap materials getting 11%, HUGE deal. Huge. Thats 2/3rds the power of the peak in it's class,3/16ths the triple junctions maximum, and it should be quarter the price of it's class and 1/12 the cost of triple junction per watt. Very very exciting news. Working together with Solar Frontier, Tokyo Ohka Kogyo (TOK) and DelSolar, IBM's Materials Science team has developed an efficient and affordable PV cell made of abundant natural materials—and they have broken a world record doing it! The team created a solar semiconductor made from readily available elements such as copper, zinc, and tin (known as CZTSSo, and achieved a PV solar-to-electric power conversion efficiency of 11.1% - that's 10% better than previous designs using this class of semiconductors.